A week ago, my family had an old friend come to stay. Her name is Aurelia, and when she was a child she came to stay with my family every year as an exchange student in the hope that we would teach her some English! It’s a tradition my family has had for generations, her father staying with my grandparents when he was a child too! I think it’s fair to say that in the time she’s spent with us she has taught us just as much as we’ve taught her! When she came to stay this time round, she decided to teach me a new type of food – Nepalese. She visited Nepal for a couple of months and lived with a number of families eating their traditional food. Below is our interpretation of the dishes she ate on her travels – as authentic as they can possibly be. 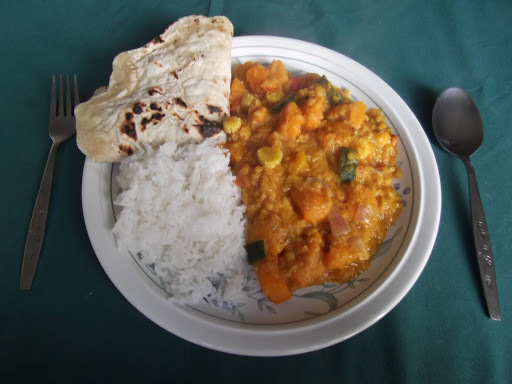 So here is my take on Nepalese curried vegetables with lentil and home-made Chapathis! (aka chapattis, chapatis). Nepalese Curried Vegetables with Lentils and hand rolled chapathis. Begin by frying the spices and onion in a little oil in a pan. Once the onion has softened add the tomatoes and chillies (diced). Next add the salt and let the mix gently bubble. Add the lentils to the paste along with the rest of the vegetables. Top with 500ml stock and simmer until cooked. Leave to cook (roughly 20minutes) until the sauce is thick and the lentils cooked. While the curry is cooking, sift the flour into a bowl and make a well in the middle. Slowly add the water and mix into a dough. Knead the dough until it forms a firm ball. Roll out the odugh on to a lightly floured surface. When the dough is roughly 2 to 3mm thick, transfer to a hot, dry frying pan. Let the doug heat through gently pressing the dough down with your knuckles covered in a cloth. This will push air bbbles into the dough and it will begin to puff up. 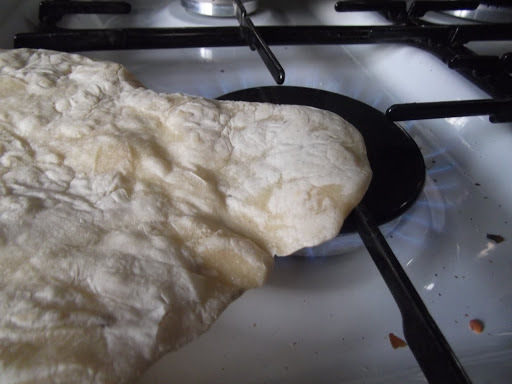 After doing this on both sides for a few minutes transfer the bread to a direct flame. Again this will puff up an char slightly. By keeping the oil to a minimum when frying off the spices, this curry is extremely low in fat! 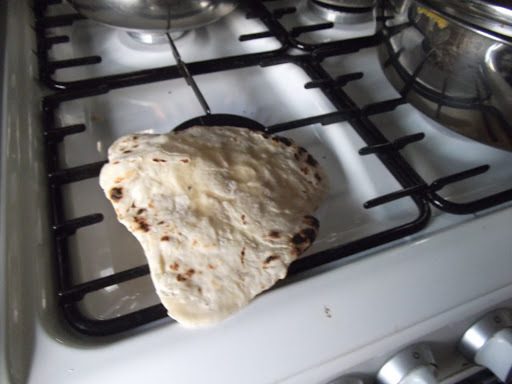 The unleavened bread is also a nice alternative to bread – although in true Nepalese style we had to have both! Have you ever had Nepalese curried vegetables? Or perhaps you know of other authentic recipes from the region? Please do share them below!